December 11th, 2011 is a day that I will never forget. It's not the date we were married or a day that one of our children was born. It's the day that Little A. woke up at 5 am with a 101.5 degree fever. She was so hot I knew she was feverish by just touching her torso when changing her diaper. I'll never forget that heat on my hands. The big problem: She was just shy of 12 days old. I was unaware making the call to the pediatrician on call, what was to lie ahead. The good and the bad. It wasn't, so we called for someone to come stay with our oldest and off we rushed to the hospital. Upon arrival, we were immediately wisked in, where Little A. (and her parents) were put through a battery of tests that are standard when a newborn (any baby under 2 months) spikes a fever. These range from the expected temperature and respiratory checks to the very unexpected blood culture and spinal tap. Apparently newborn's nervous system is too immature to even feel a spinal tap. That didn't make me feel any better at the time. She was my tiny new baby and I was doing everything I could to hold it together. 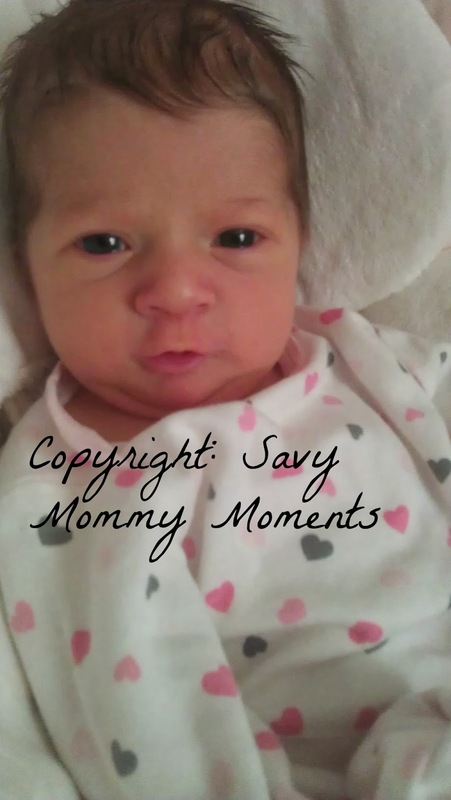 Little A. was also very dehydrated (fevers in newborns can due this in a matter of hours) and so she needed fluids immediately BUT of course dehydration leads to very small veins and in newborns the veins were already small. A dozen sticks later and still no I.V. Finally, someone thought to call the nurses from NICU and like angels from heaven they came down to our rescue. They took a look around the room and looked into my eyes and said "We are going to look for a good vein, if we don't find one, we are not sticking her anymore. We will find another solution" They couldn't find one...and the ER doctor threatened to shave her hair to put one in her head. I cried. And those beautiful NICU angels came to my rescue again! They noticed she still had her umbilical stump attached (Miracle #1) and it was still semi moist, so they called up to the NICU and got special permission (the usual rule is NO babies who have been home get admitted to a NICU) to get us wisked up there where it was controlled and calm and the neonatologist could attempt to put an umbilical line in through her cord. So, off we went, to the NICU with what, just 12 hours previously, was a beautiful healthy full-term (born on her due date) baby girl. Sigh. The good news is that they were able to get the line in and we got a nice private style corner suite. (At the time I was clueless they were quarantining us) The bad news, we couldn't hardly touch or move her because it was just barely in and they needed it to stay for two days until the Children's Hospital specialists returned to put in a PIC line (deep IV). As for all those tests they did at entry? Well, we had to wait 48 hours for the results of 3 of them: Blood Culture, Spinal Tap, and Urinalysis. These tests were checking for things such as Meningitis or Group B Strep. All serious things that could be the potential causes of her fever and cause her to die rather quickly. The interim diagnosis: everyone's very educated guess (ours, doctors, nurses, etc. ): Her fever was caused by the icky cold and fever that her two year old brother had brought home from daycare and had for the first week she was in our house. We were SURE this was it and so were the doctors, but had to follow protocol and get her fever free. 24 hours passed, her fever climbed even with Tylenol, but the initial cultures (3 tests mentioned above) came back negative. 36 hours, much the same. And it was hour 47 (I kid you not!) that something came up. The urinalysis showed Group B. Strep (late onset). If you don't know what this is, it's a virus that they test all pregnant women for around week 38. It doesn't affect the woman, but it can transmit to the baby upon delivery. I tested positive prior to delivery, but I also received 3 full doses of penicillin prior to her birth which I thought was supposed to negate ANY possibility of her catching it! 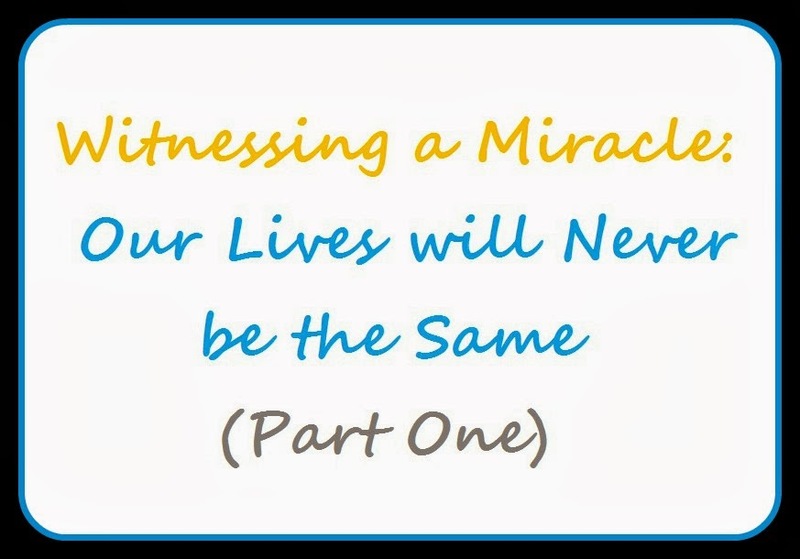 Click here to read the conclusion: Witnessing a Miracle: Our Lives Will Never Be Same - Part Two. I feel sick to my stomach just reading this!I can't imagine how you must have been feeling through it all! OMG i cannot even imagine what you went through! Thank God for the NICU nurses and that they found what it was!